LOS ANGELES, Dec. 4, 2018 /Christian Newswire/ -- Thanksgiving is behind us, now the Christmas season is in the air. 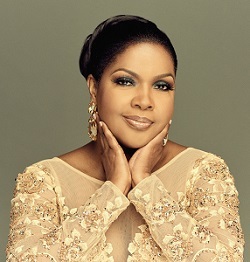 Multiple award-winning singer, CeCe Winans, is riding on the heels of her double Grammy Award wins earlier this year for Let Them Fall in Love. Winans teamed up with her son, Alvin Love III, once again to deliver a beautiful contemporary collection of holiday songs on Something's Happening! A Christmas Album that's available at all music retail and digital outlets. The single "It's Christmas" written by Alvin is and on the path to becoming a holiday favorite. To purchase album click on all retail link: ffm.to/somethingshappening. The song is so well received by listeners that the church CeCe and her husband pastors (Nashville Life Church) is set to present a musical production inspired by the single titled, "It's Christmas" featuring the power house singer. Written and Directed by Tyler Russell and Music Director Grammy Award winner Dwan Hill, the musical will have a two day run on Friday, December 7 and Saturday, December 8 at 7:30pm at Nashville Life Church (held at Christ Church) 15354 Old Hickory Blvd., Nashville, TN 37211. The admission's fee is $10. According to Winans this is a "must see" holiday treat that the singer wants the community to come out and support, "I'm so excited about Nashville Life's first Christmas production! This young generation is making me so Godly proud! Please come and be blessed." Winans was invited to her hometown of Detroit to sing at the official Christmas Tree lighting for the city. To capture the moment of being home with family and friends, fans will see Mom Winans make a guest appearance along with the decorated areas of the motor city. "It's Christmas" was directed and edited by Ryan Smith, produced by Smith and Brandon Gregory. The Nashville based production team included Still Photographer, Brandon Chesbro. A very special thanks to Groundswell Design Group and the great city of Detroit.